Abdellah Taïa was born in Morocco in 1973. Rather than become a waiter or an office worker as is often the case in the working-class suburbs of Rabat where he grew up, he followed his dreams and went to study French Literature at the Universities of Rabat, Geneva and Paris-Sorbonne, where he has lived since 1999. He has published four autobiographical books in French: Mon Maroc, Le Rouge du Tarbouche, L’Armee du Salut and Une Melancholie Arabe, and his books have been translated in several languages. 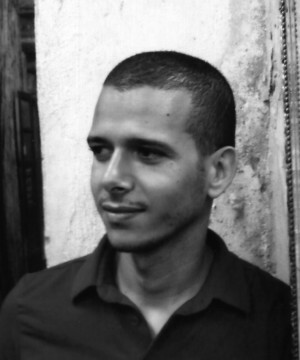 Abdellah Taïa is the first openly gay autobiographical writer in Morocco and homosexuality is an important theme in his work.